MARGUERIE DE LA HAYE, FRANÇOIS, interpreter; b. at Rouen (Normandy), where he was baptized 12 Oct. 1612, son of François Marguerie, bourgeois and oar-maker, and of Marthe Romain; drowned 23 May 1648 at Trois-Rivières and buried 10 June at Quebec. One of the most daring figures of the early days of the colony, François Marguerie was called “the double man” by the Indians, because he had earned the reputation among them of being the white man who had adapted himself most completely to their customs and to their tongues. Although the Relations des Jésuites do not record his presence in the colony until 1636, it is possible, as some historians claim, that he was in Canada before 1629 and that he went to seek refuge among the Algonkins during the Kirkes’ occupation of the colony, thus becoming familiar with the way of life and language of this tribe. Marguerie spent the winter of 1635–36 at Allumette Island and on 28 March he arrived in the Huron country in the company of four Algonkins, one of whom was Tessouat (d. 1636), bringing the missionaries news of the civilized world. The spontaneous sympathy that the Indians manifested towards him was very useful to the Jesuits, for whom he acted as guide and interpreter on their trips and in their missionary endeavours. During the years 1637–40, however, he scarcely left Trois-Rivières, and we know that he was the chief interpreter at that place from 1642 to 1648. In the month of February 1641 he went hunting in the surrounding woods with another specialist in Indian languages, Thomas Godefroy; they were taken prisoner by a party of Iroquois and carried off to their village. The two interpreters remained there for several weeks, and took advantage of the opportunity to become familiar with the Iroquois language. During the period of their captivity, the two prisoners became aware that the Iroquois were preparing to descend upon Trois-Rivières early in the summer, and that they would be using the two Frenchmen as guides and as a lure. The two of them for their part devised a plan to thwart the Indian scheme. When the party reached a point directly across the St. Lawrence River from Trois-Rivières, Marguerie volunteered to go in person to negotiate with the authorities of the town. Thomas Godefroy was to be kept as a hostage, and Marguerie gave his word of honour that he would return and be a prisoner again if he achieved no results. On 5 June he appeared at the fort, and without giving a thought to his personal safety, he dissuaded the governor, M. de Champflour, from accepting the Iroquois proposals, as they concealed a trap. Then he went back to turn himself over to the Indians. In the meantime the authorities of Trois-Rivières deliberated and decided to send Jean Nicollet and Father Ragueneau to attempt negotiations with the Iroquois. At last an agreement was reached, and the two captives were freed. Their boldness and their courage had helped to save the settlement at Trois-Rivières. 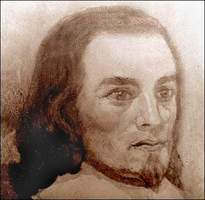 François Marguerie had married at Quebec, on 26 Oct. 1645, Louise Cloutier, daughter of Zacherie Cloutier, one of the Beauport pioneers. They had no children. His widow married Jean Mignot, dit Chatillon, and later Jean-Pierre Mataut. JR (Thwaites), X, 320f; XXI, 20–58; XXXII, 136. Papier terrier de la Cie des I.O. (P.-G. Roy), 301. Desrosiers, Iroquoisie. Godbout, Les pionniers de la région trifluvienne. Sulte, Chronique trifluvienne (Montréal, 1879). Albert Tessier, Les Trois-Rivières: quatre siècles d’histoire 1535–1935 (Trois-Rivières, 1934). Arch. Départementales de Seine-Maritime (Rouen, France), “État civil,” Rouen (paroisse Saint-Vincent), 12 oct. 1612: www.archivesdepartementales76.net (consulted 6 Aug. 2014). Bibliothèque et Arch. Nationales du Québec, Centre d’arch. de Québec, CE301-S1, 26 oct. 1645, 10 juin 1648. Raymond Douville, “MARGUERIE DE LA HAYE, FRANÇOIS,” in Dictionary of Canadian Biography, vol. 1, University of Toronto/Université Laval, 2003–, accessed April 19, 2019, http://www.biographi.ca/en/bio/marguerie_de_la_haye_francois_1E.html.